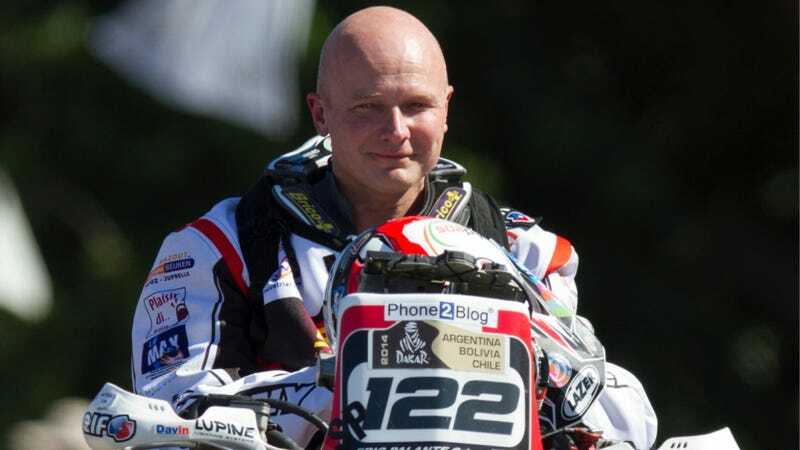 Sad news out of the Dakar Rally this morning: Belgian motorcyclist Eric Palante, a veteran of the off-road race, was found dead along the route. Details remain scarce, but an email from organizers says that Palante's body was found around 8:30 a.m. between Chilecito and San Miguel de Tucuman, Argentina. The cause of his death remains under investigation, and the release does not say whether a crash was involved. Palante, pictured here in this AP photo just a few days ago, was 50. Palante was running in his 11th Dakar Rally. He was praised by organizers for his "enthusiastic but serious approach" to the event. Our condolences go out to his friends and family.